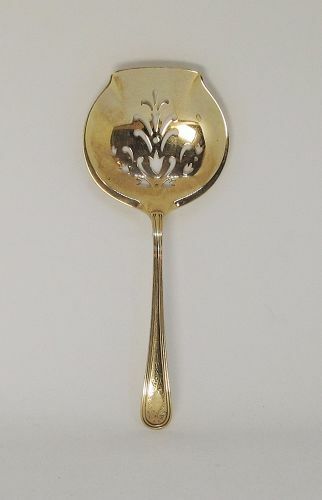 Nothing represents the decadence of the early 1900s better than this wonderfully crafted 14 karat yellow gold bonbon spoon. The handle has an elegantly elongated wreath design and the bowl of the spoon has been decoratively pierced by masterful craftsmen of the period. 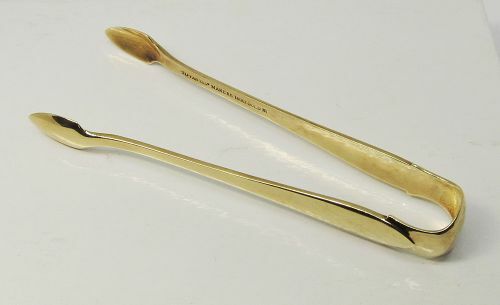 The length of the spoon is 4 5/8” and the width at the widest part is 1 7/8”.